The papers that appear in this Special Edition of The Anthropologist serve as an inaugural publication for The Commission for Migration and Diaspora Studies, affiliated to the International Union for Anthropological and Ethnological Studies (IUAES). They were initially intended for presentation at an IUAES international congress, that was scheduled to be held in Kunming, People’s Republic of China, but was postponed from July 2008 to July 2009. Each paper is a reflection of the growing international interest on issues such as regional and inter-continental migration as well as about issues surrounding ethnicity and identity. Collectively, they are entrenched in the discourse of ‘globalisation’ and ‘transnationalism’ – which have acquired substantive currency in the Social Sciences and Humanities. act as inducements to relocate and restart their lives. 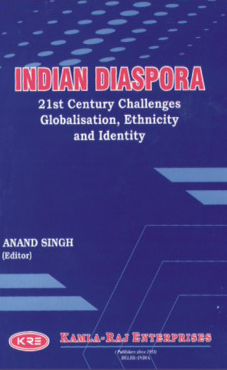 Each of the papers here engage in some measure of history, race, ethnicity and the politics that surround the politics of the Indian Diaspora, making them consistent with the widespread interest in contemporary social science/ humanities discourses. However, while these papers are a special focus of people from one geographical region, the Commission for Migration and Diaspora Studies has an interest in the entire world’s population and the movements that emerge from whatever area that has a story to tell.